Professor Dana Polan will be the featured speaker at this month’s Beard on Books series, an ongoing literary series at The James Beard Foundation. 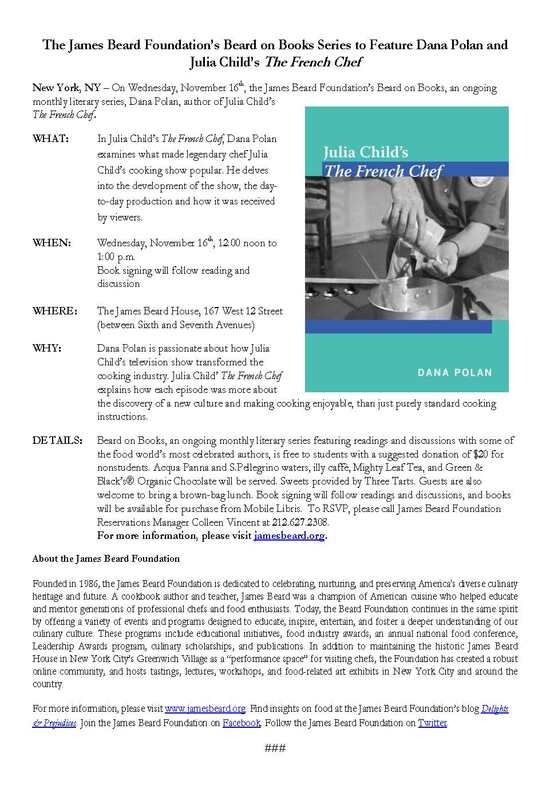 Professor Polan will be discussing his newest book, Julia Child’s The French Chef, at an event that is free to students (suggested donation of $20 for nonstudents). WHY: Dana Polan is passionate about how Julia Child’s television show transformed the cooking industry. Julia Child’s The French Chef explains how each episode was more about the discovery of a new culture and making cooking enjoyable, than just purely standard cooking instructions.